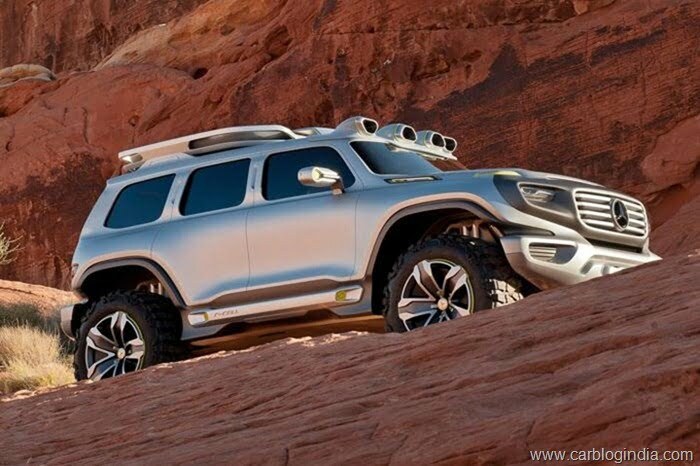 Mercedes Benz has revealed the first set of official images of their new SUV concept called the Mercedes Ener-G-Force. According to the design sketches, the SUV is set to get a very imposing overall stance. The Ener-G-Force is a 7 seater concept SUV and in the concept sketches the SUV is knitted up in a highway patrol vehicle guise. It is also set to enter as a contender into the Los Angeles Auto Show Design Challenge at the Los Angeles motor show set to happen soon. The Ener-G-Force is based on the Mercedes Benz G-Class and judging by that it could be the first look at what the company is set to challenge the Range Rover with. 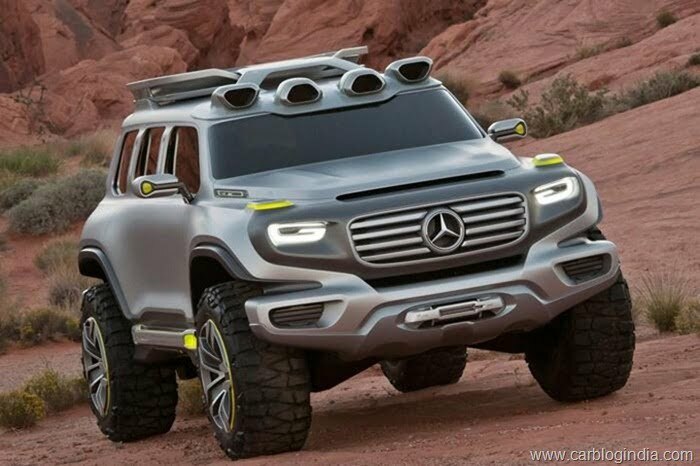 The Mercedes Benz Ener-G-Force has been styled at the company’s advanced design studios in California. The design language has been inspired from the Mercedes G Class itself. However, the Ener-G-Force adds more zing to the functional go-anywhere look that the G Class possesses. The technical details about the SUV are very scarce at the moment. The Ener-G-Force is expected to receive a 4 wheel mounted hyderogen powered electric motors. water will be present in the containers placed at the roof and a Hydro-Tech Converter provide electricity that is stored in batteries within the concept car’s broad sills. These sills will also act as tread plates. Mercedes says that the car would get a driving range of up to 800 kms. We would like to see this vehicle come out to production version in the coming years and starting a new trend in the SUV segment. Stay tuned to Car Blog India for latest updates.